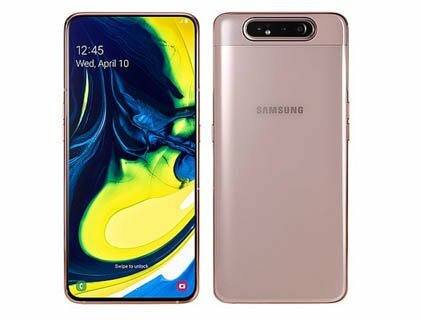 Samsung launched uniquely designed Galaxy A80 with Motorized pop-up rotating main camera module. This handset has smooth curves are designed for ease of use. Its striking design comes with glass and a metal frame that's easy to hold with single hand although it is bit slippery. There is 6.7 inches Super AMOLED display for immersive visual experience and not having a notch makes it even more brilliant. It has maximized the New Infinity Display which is near bezel-less - no notches, no sensors, no distractions while operating the phone. Phone has amazing trio camera for front as well as back which including a 48 MP sensor, 8 MP sensor and a ToF sensor for depth information. With its incredible 123-degree field of vision, Ultra Wide Camera of Galaxy A80 is built to capture as wide as the human eye can see. The 3D Depth Camera detects the subject of your photos to keep the focus on what actually matters. For the selfie when you open front camera the whole slider goes upwards and the primary camera rotates until it's facing you, isn't it wonderful? It comes up with Non-removable Li-Po 3700 mAh battery featuring adaptive Power Saving Mode which optimizes power by closing unused Apps and conserve the battery juice. The 25W Super Fast Charging technology is capable of charging the phone within minutes. LED flash for front as well as back Camera. Bezel free display without any notch. The operations and gaming in handset is smooth. Stunning primary camera (Same camera can be used for selfie). 25W Super Fast Charging technology. Phone do not have 3.5mm audio jack. Device is quite fat with 9.3 mm thickness. There is no Stereo speaker. This handset is not waterproof as other premium Galaxy device. 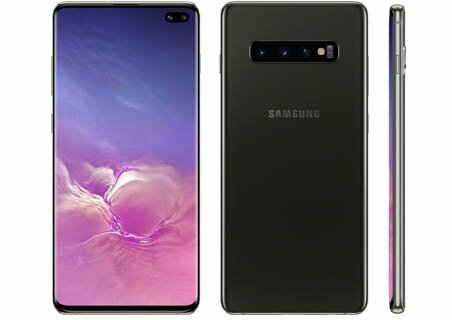 The new Galaxy S10+ is flagship phone from Samsung for 2019. It is featuring many innovative features with stunning design. This phone comes up with Infinity-O Display for truly uninterrupted view providing cinematic viewing experience. The 6.4 inches Dynamic AMOLED screen is HDR10+ certified delivering Dynamic Tone Mapping for amazingly real color and also packed with unique fluid composite in Dynamic AMOLED reduces harmful blue light by 42% without using eye protection feature. It has Triple 12+12+16 MP primary camera which is featuring Telephoto Camera for amazing zoom possibilities, a Wide-angle Camera for everyday moments, and an Ultra Wide Camera with a 123 degree field of vision for panoramic landscapes. Dual Aperture supports F1.5 mode and F2.4 mode providing day to night light control. You can also shoot with 2x optical zoom without deteriorating the picture quality. There is also 10+8 MP Dual selfie intelligent camera helps in taking stunning photos by suggesting image compositions and automatically optimizing. Front camera has many advanced features including 4K UHD recording, and dual cameras for artistic selfies with Live focus. The Chinese and USA version comes up with Snapdragon 855 while global version has Exynos 9820 Octa CPU. The advanced chipset along with 8 GB RAM has Up to 29% faster CPU and Up to 37% faster GPU which is capable of easily processing and running the heavy games. It also featuring Intelligence and advanced hardware learns your phone use routine and adapting to run more efficiently, giving you best performance throughout the day. For the better battery utilization it is featuring Adaptive Power Saving Mode manages your battery life based on the prediction of your day and 4100mAh (typical) battery capacity can run optimally for long hours. Infinity-O Display for truly uninterrupted view. Ultrasonic Fingerprint creating a revolutionary on-screen sensor. You can shoot with 2x optical zoom. Ultra Wide Camera delivers a 123 degree field of vision. Dolby Atmos enhanced sound with stereo speakers tuned by AKG. AI-based performance improvements for gaming. Corning Gorilla Glass 6 protection for display. IP68 dust/water proof (up to 1.5m for 30 mins) which is highest mobile device standard for water and dust resistance. Very Expensive for most of the people. Snapdragon variant is not available Globally. FM Radio is not available Globally only for USA & Canada. Do not support 5G spectrum. Mi 9 is flagship device from Xiaomi with Holographic glass design and Gracefully curved corners. It has Samsung AMOLED Dot drop Full HD+ display with 90.7% screen-to-body ratio delivers immersive viewing experience. Holographic color scheme Made with nanometer laser technology creating a spectacular sight. Lightweight curved design gives the phone a sleek look and comfortable fitting perfectly into the your palm. This device featuring an unique combination of triplet 48+16+12 MP Primary camera with the half-inch light sensor and 4-in-1 1.6µm large pixels, photos are lively with color. It has a lens with a view wider than typical lenses, and the camera is capable of correcting for distortion also supporting macro photography. Interestingly its rear camera also can record the videos in 1080p slow motion @ 960fps. For the front 20MP high resolution sensor which can intelligently combine pixels into a single 1.8µm pixel, making photos brighter in low light situations. It also has an advanced Beautify algorithm and AI portrait mode background blurring. 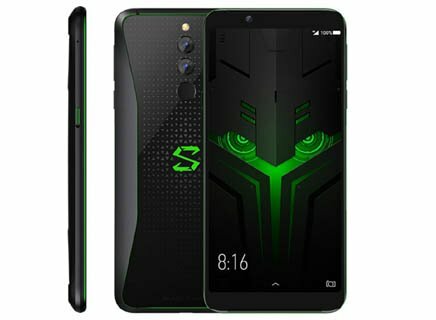 The Smartphone is powered by Snapdragon 855 processor having 20% faster gaming experience, 45% improved CPU performance, and 300% better AI performance. This chipset With two Turbo technologies double the acceleration. with the advanced CPU and 8 GB RAM the devices can easily handle heavy games and multiple tasks with ease. It has world's first 20W wireless quick charging full charge the battery in 90 minutes that's even faster than traditional 18W wired charging. Stunning 6.39 inch Samsung AMOLED Full Screen Display. Camera also have 2x optical zoom. 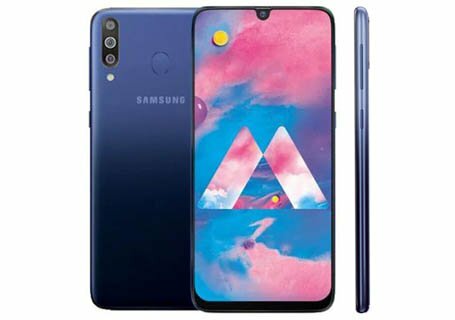 Unique combination of triple 48+16+12 MP Primary camera. Can record slow-mo video with 1080p@960fps. External SD card not supported. No LED flash for the front camera. Do not support 3.5mm audio jack. Phone is not the water and dust resistant. battery is not so impressive with only 3300 mAh capacity. 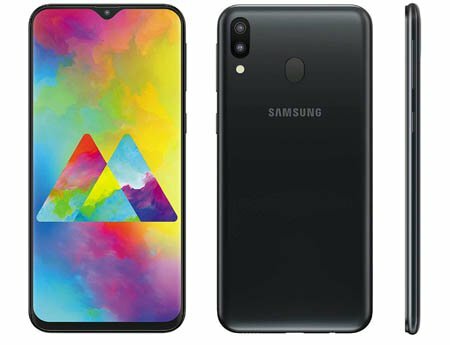 Samsung Galaxy A50 is mid range smartphone with decent flagship features. For great visual experience it has next-gen Super AMOLED 6.4 FHD+ Infinity-U Display. The body has new back design as "3D Glasstic", which is combination of glass and plastic. And unfortunaltely it's not protected by the Gorilla Glass. The volumne buttons are on the right adge and a 3.5mm audio jack. It is on the bottom next to the Type-C port along with single speaker. Camera is one of the main highlighted feature of this smartphone that includes triple 25 MP ( f/1.7 & PDAF) + 8 MP (f/2.2 & ultrawide) + 5 MP(f/2.2 & depth sensor) primary camera for differently enhancing the photo quality with the fabulousness and revolutionary 123° Ultra-wide lens. The primary camera also Capture more in every moment with Slow-mo video and 4K. 25 MP front camera has "Selfie Focus" feature with leverages AI for better bokeh selfie portraits. Handset is powered by the powerful Exynos 9610 Octa processor based on 10nm technology. This chipset along with 6 GB RAM runs all the games smoothly and also making the multitaking free of any hiccups. The 4000 mAh battery is sufficient to provide a full day backup to a typical user. There is no need to wait for long hours as it has Type-C 15W Fast battery charging. The Memory can be Expandable up to 512GB with external SD card. 2 slots for dual SIM card + 1 dedicated slot for Micro SD card. Triple 25+8+5 ultrawide, depth sensing primary camera. Type-C 15W Fast battery charging. Body is made up of plastic instead of metal. It do not have OIS or EIS for better camera stability. Secondary selfie camera do not have LED Flashlight. Galaxy M series of Samsung launched in market for countering the mid range Chinese smartphones. 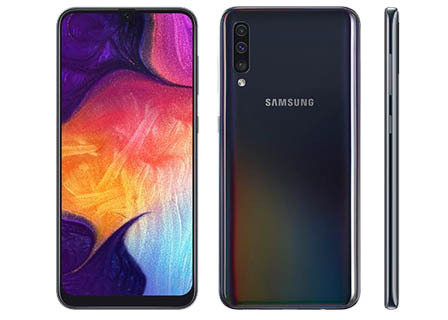 Here Galaxy M30 featuring the 6.4 inch Super AMOLED FHD+ Infinity U Display. this device introduces sharper contrast and exceptional dynamic color for an immersive viewing experience. Its More than 90% Screen ratio offering a large area for running the content. Triple Rear Camera with a 13MP + 5MP + 5MP has Ultra Wide, depth sensing capabilities that takes stunning photos and Captures the world around you exactly the way you see. It can also take 4K videos. The 16MP front camera takes eye pleasing selfies. The new 14nm 1.8 GHz Exynos 7904 Octa Core Processor and the blazing fast LPDDR4x RAM able to handle your day to day tasks effortlessly, switching between different apps is very smooth. Dual SIM with Dual VoLTE support. Stunning primary camera with 13 MP PDAF, 5 MP (ultrawide), 5 MP depth sensor. External SD card supported up to 512 GB. A long lasting 5000 mAh battery. Type-C 1.0 reversible connector 3X Fast Charging. Dual Sim & Dedicated SD Card Slot. Can record the 4K videos. More than 90% Screen ratio. 123 degree ultra wide angle. It emits low radiation with 0.409W/Kg head SAR value. No LED flashlight for front camera. Don't have image stabilizer such as OIS and EIS. 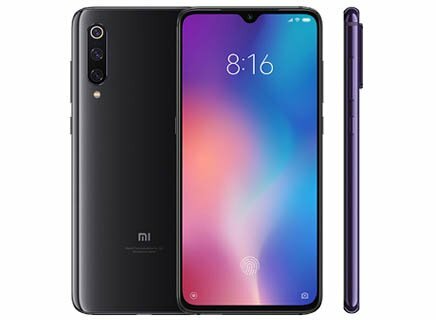 Xiaomi decided to include a very high pixel camera phone "Redmi Note 7 Pro" under the affordable mid range. It's 6.3 inches Full HD+ display protected by Corning 5th Generation Gorilla glass which has 4 times more resistance to damage and 81.4% screen-to-body ratio offers more space for watching content. 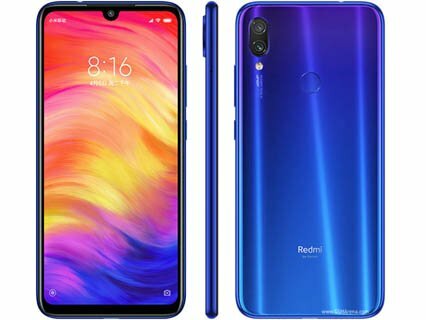 Redmi Note 7 Pro uses a new generation of 48 million pixel sensor, which is 4 times higher than the mainstream 12 MP camera. The 48 million high pixel with 1.6μm large pixel gives you a very high resolution photo experience. The advanced “Handheld Super Night Scene” algorithm in which by pressing the shutter, the camera automatically takes multiple shots and combines to make a high quality photo. The 1/2" large photosensitive element captures more light when shooting night scenes, and produces a picture with bright and less noise. It is also equipped with a higher frequency, The 2.0 GHz "full blood version" of the Snapdragon 675 further enhances performance levels. The gaming is smooth and the daily operation is smoother. 4000 mAh battery Let you get rid of power anxiety that can provide 251 hours standby time and 23 hours call. It Support Quick Charge 4 helps in charging the smartphone faster. The USB-C interface is very convenient, can be used for charging and can be connected to the headset. Display is protected by the Gorilla Glass 5. Featuring with 2.5D gradient reflective glass back that changes color with the light. Up to 256 GB of External SD card supported. 48 MP camera that can perform quite good even in low light conditions. Can record the 1080p (Full HD) videos with 120fps. There is also 3.5mm audio jack. P2i’s Technology protect the phone against humidity, splashes and spills. It has Infrared port to control your TV, AC etc. To charge your smartphone battery it support Quick Charge 4. A huge 4000 mAh battery. Hybrid Dual SIM - You can't use Dual SIM + Micro SD card simultaneously. Smartphone frame is made up of plastic. No LED flash for front camera.